Manchester United travel to Crystal Palace for Monday night football needing a victory to return to second place in the Premier League. Not only would three points move us back above Liverpool but also open up a nine point lead over Chelsea in the race for Champions League football next season. This evening’s hosts, Crystal Palace, dropped into the relegation zone on Saturday thanks to Swansea City’s 4-1 thrashing of West Ham United. The Spaniard will be looking to extend his lead at the top of the Golden Glove race for keeping the most clean sheets this season. Crystal Palace haven’t scored more than one goal in a game since 2 January and are winless in their last five, which includes a 4-1 thrashing at the hands of out-of-form Arsenal. David de Gea should fancy his chances of another shut out. Jose has confirmed that Phil Jones, Marcos Rojo and Daley Blind will all miss our trip to Selhurst Park this evening. However, Eric Bailly should be fit to start this one after playing the final 10 minutes last weekend. I think the Ivorian will be partnered by Chris Smalling with Victor Lindelof dropping to the bench. 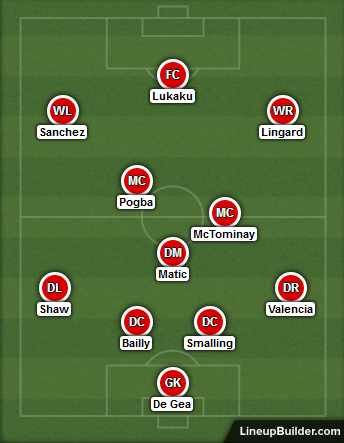 There’s no reason why captain Antonio Valencia won’t retain his position at right-back whilst Luke Shaw could be recalled on the left with Ashley Young being given a rest. 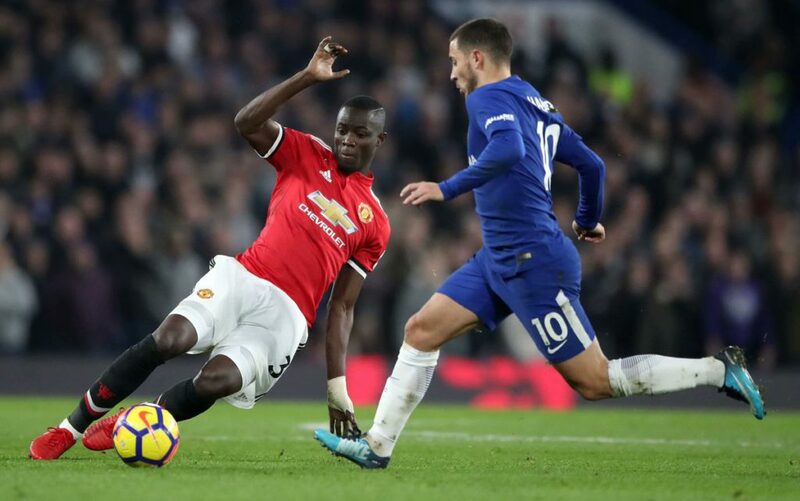 Paul Pogba made an emphatic return to the starting lineup in our 2-1 victory against Chelsea last Sunday and can be expected to maintain his place in Jose’s starting lineup this evening after being dropped twice last month. Another player who put in an excellent performance versus the Blues was Scott McTominay. The youngster is quickly becoming a regular starter in our team and I think he’ll hold down his place this evening, particularly with Ander Herrera out. Nemanja Matic is a guaranteed starter. The boss has been going with a 4-3-3 formation recently and I don’t expect that to change in South east London. Alexis Sanchez is a regular on our left wing and we’re hoping he can form a strong partnership with Luke Shaw down that side. Romelu Lukaku has been among the goals recently so there’s no reason why he won’t start against Roy Hodgson’s side. The right wing is the most contested position currently, with Juan Mata, Anthony Martial and Jesse Lingard all starting their recently. I think the latter will get the nod in this match after coming on to score the winner last time out. With this line up, we should be able to grab the maximum three points. Every player shoud be up and doing aš we need not be dropping points. We need to capitalize on the injury Crystal Pala?e have.